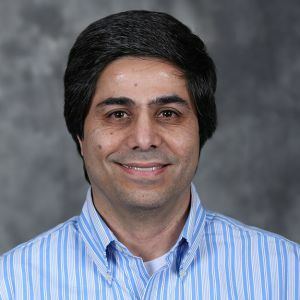 Dr. Naraghi is a senior research engineer at the Institute for Transportation’s Center for Transportation Research and Education. Dr. Naraghi has more than 20 years of professional experience in transportation engineering and construction management. He conducts research on various safety-related projects on the safety and operational impacts of drivers and roadway and environmental characteristics. He is also involved in the development and management of intersection and curve databases. Conducted research on safety implications and driver behavior at work zones by analyzing SHARP 2, Naturalistic Driving Study Data, to determine how drivers negotiate work zones and to identify factors present when safety critical situations arise as compared to normal work zone driving. Increased the number of completed projects in a year from 74 to 145 within three years, utilizing no additional personnel.